Premier offers high quality ultrasounds at fractions of the cost of hospital ultrasounds. We help patients save hundreds of dollars when they choose Premier for their ultrasoudd needs. 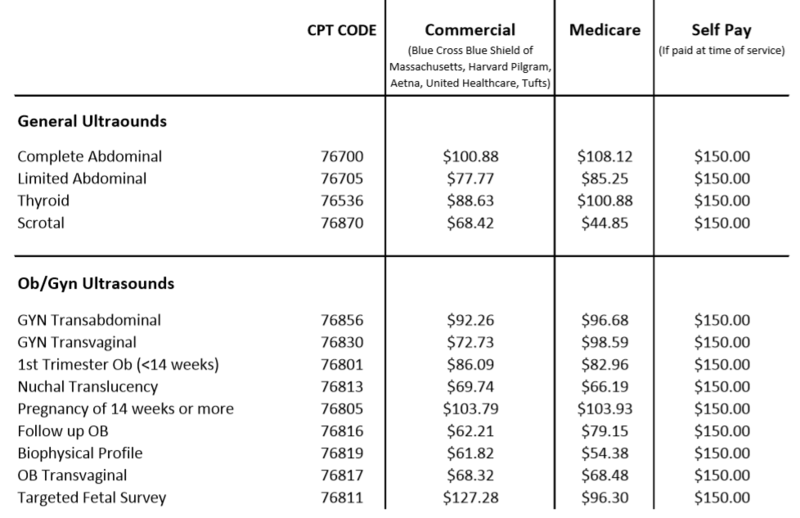 Below, you will find the average cost for the most common ultrasound exams. Please keep in mind these are averages and costs will vary +/- 10%-15% based on the type on insurance. The costs represent the technical fee for each ultrasound exam. If you would like to know the exact cost of your exam, please contact your insurance carrier.